Tech Explainer What Is The Difference Between PLC And WiFi Repeater? Basically, PLC and WiFi repeater, these are two interesting options that simply help us to improve the internet coverage within our home, sometimes with quite similar aspects, hence, to know and what we should choose it will be quite useful know about them, even we will also show you the key differences between them as well. 1 What Is The Difference Between PLC And WiFi Repeater? 1.1 What is WiFi repeater? 1.3 Which one is better to use and when? PLC and WiFi repeater, these are two exciting options to improve Internet coverage within your home, sometimes with quite similar aspects, choosing the one that best suits your needs is useful to know what are the differences between them. And to do this, let’s start by explaining what exactly PLC and WiFi repeater is and then we will show you a brief explanation of when it is better to use one or the other. So, now without wasting much time let’s get started and explore the whole explanatory article that we have mentioned below. A WiFi repeater is a device that helps us to expand the coverage of our home WiFi network. 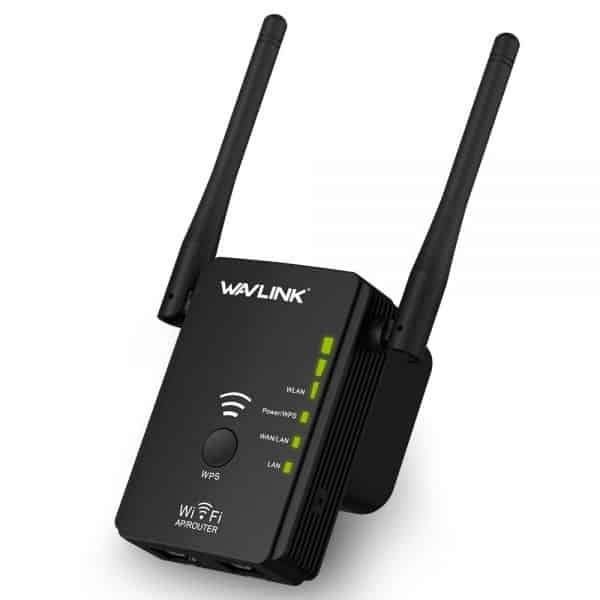 Basically, these devices simply capture the signal from an existing WiFi network to extend it over a larger area, hence, as a result, it improves the signal coverage of the current WiFi network. Didn’t get it? Ok, let make it clear, WiFi repeater is a device that simply acts as a bridge between the area where we have good WiFi signal coverage and the area to which we want to expand it, simply due to its weaker signal. And to do so what we have to do is connect it between our router and the area where we have the device to get the better signal. For example, just imagine that you have your router installed in a room and over there you don’t have enough signal in your room to connect a device to the WiFi network. So, what you would do with this repeater is to connect it in an intermediate zone where the Wi-Fi signal reaches well, and from where the repeater can release a signal that enters the room. Unlike PLCs, with WiFi repeaters, you do not need to buy any type of pack, since only one device is needed to extend the WiFi network. That makes them a cheaper alternative than the PLCs. Basically, PLC is a simple device that simply allows sending the internet connection signal via the wiring system of your home and Ethernet. Hence, in this way, if you have the router in a room and the signal does not reach the room properly or blank, you can simply take it through the plugs to have more signal coverage in your desired place. Moreover, PLCs generally uses two types of devices, as the first one is always responsible for collecting the signal from the WiFi and then push it into the electricity network. While the second one is the extender, which is the one that will receive the signal through the wiring of the house and then will simply repeat it in the area where it is plugged in. And not only that even we can also use two extenders at the same time simply to make the signal coverage more stronger than before. While now if we talk about its operation, then let me clarify that it is really effortless to use. As the only thing we will have to do is connect our router to the conductor simply using an ethernet cable (the same that goes from the router to the computer to carry the connection by wire instead of WiFi), then simply connect the conductor to the nearest point and then, we have to plug the extender into any point, so that it could simply act as a router which is sending the signal to that area. 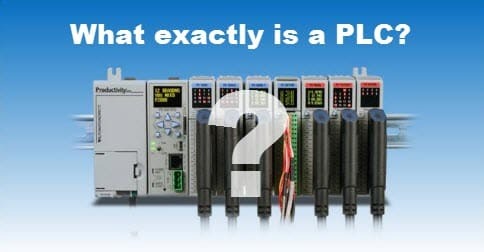 Even, the PLCs can be used in different ways depending on how we want to configure our connection. Moreover, the extender will not only extend the signal coverage but in some of the models, it also includes ethernet connectors simply to connect other devices via cable. Moreover, we can buy PLCs with different kits, for example: maybe with a receiver and an extender. But the fact is that there are brands that sell them, of course, PLCs with several other options, so that we can simply expand the network through several points of your house. Which one is better to use and when? Both devices have their own specific characteristics which simply allow them to differentiate themselves from each other. Though both of them essentially does the same thing, but, still everything depends on the fact that how and where we want to use them. If you want more options to choose between WiFi or Ethernet or optimal signal performance, then it is strongly recommended to go for PLC. And not only that even it is recommended if you live in a large house with several floors, as in this case, the WiFi repeaters will be less effective than the PLCs for carrying the signal from one point to another. But except these specific cases, usually, it is enough for a WiFi repeater to carry signals and increase the network coverage. Moreover, the fact is that we can’t deny is WiFi repeaters are more pocket-friendly and very simple to use as compare to the PLCs. But, if you are worried about security, keep in mind that both types of devices are limited to extending the coverage of your Internet connection, so everything depends on the protection of your WiFi or your Ethernet, and how safe your password is. While in the case of PLCs, you can simply give them a new network name and password, so it is best to try to make them as safe as possible. So, what do you think about this? Simply share all your views and thoughts in the comment section below.. And if you liked this article then simply do not forget to share this article with your friends and family.